Multi-Wave Delivery Wave 1: You will feel PMP’s strong, muscle stimulating action. It ignites a high intensity workout and delivers critical performance nutrients to your muscles. * Wave 2: Increased concentration and razor sharp focus will hit you, helping your mind and body work in tandem for perfect execution of each and every action of your workout. Wave 3: As your workout intensifies, your muscles will expand from increased blood volume and you will feel skin tightening effects that keep your body _red up even after your workout ends. Experience explosive energy and improved performance. * Exercise Intensity: Citrulline, Citrulline Malate and Beta Alanine (Carnosyn®) push your training to the max. 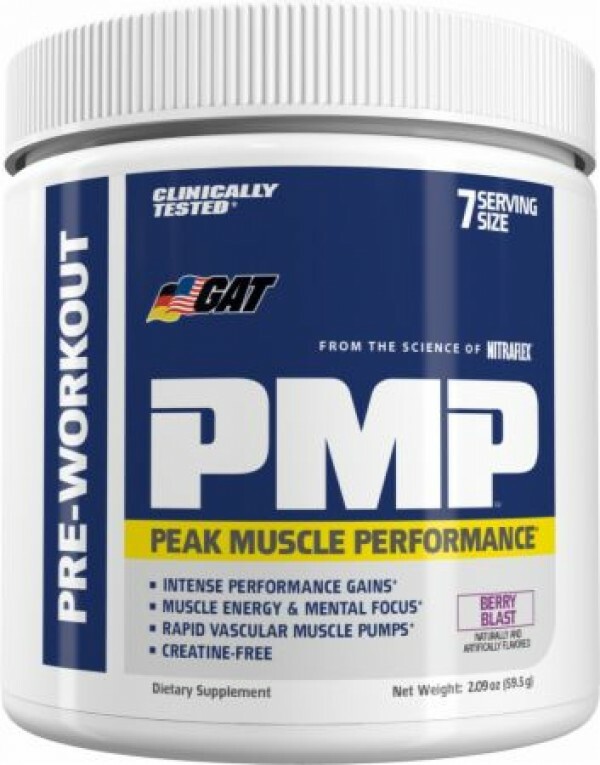 The key compounds in PMP have been clinically researched for their benefits to athletic performance via increased blood flow, enhanced nutrient delivery, and improved muscular energy and endurance. * Cognitive Enhancers: Clinically studied compounds N-Acetyl-Tyrosine and L-Theanine help you remain alert, intense, and mentally focused while you’re going from set to set during your workout. * Pump Drivers: Clinically studied, vasodilating compounds Agmatine Sulfate, Glycerol Monostearate, and Calcium Lactate. * Size: 30-servings (9 oz, 255g).